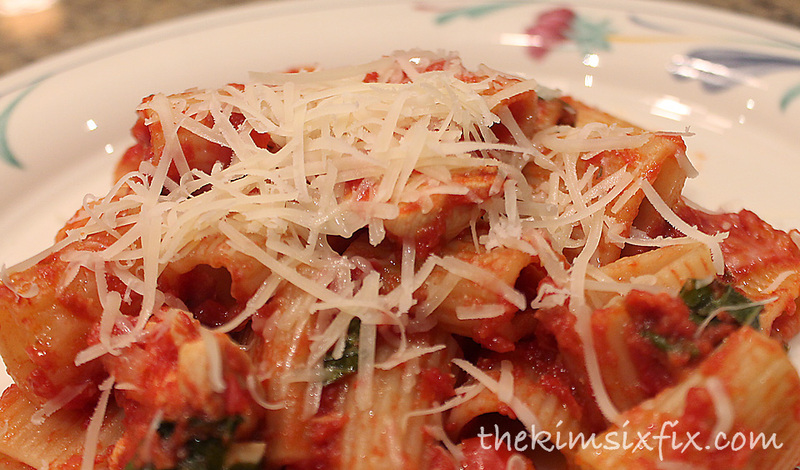 I made this recipe for my family the other night because I had a bag of baby spinach that was going to go bad. Most chicken and spinach recipes are cream based.. but I wanted a more healthy alternative. 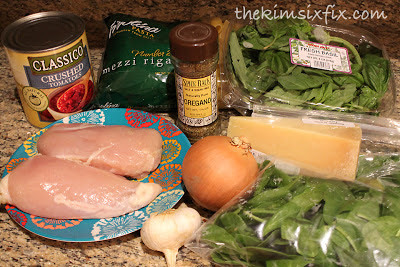 Here is my version of Chicken Florentine, which is usually made in a sauce pan. 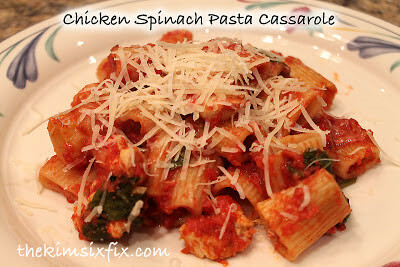 This version is baked instead, and is a great low-fat way to sneak in some spinach into my picky eater's diets. Cook mostaccioli according to package directions; drain. While the pasta is cooking, saute onion and garlic in large skillet until soft. 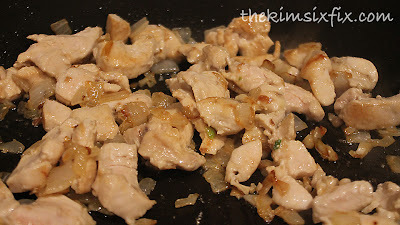 Add chicken; cook just until chicken loses its pink color, stirring constantly. Stir in tomatoes; bring to a boil. 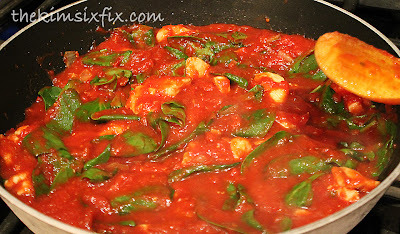 Add spices and spinach Reduce heat and simmer, uncovered, about 5 minutes (or enough time to wilt spinach), stirring occasionally. 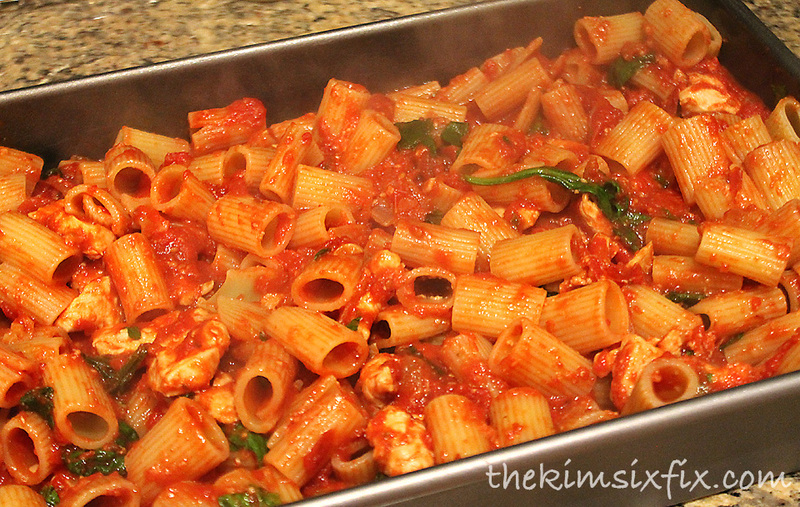 Add pasta to tomato mixture (you may need to move to larger bowl) and stir in 1/4 cup cheese. 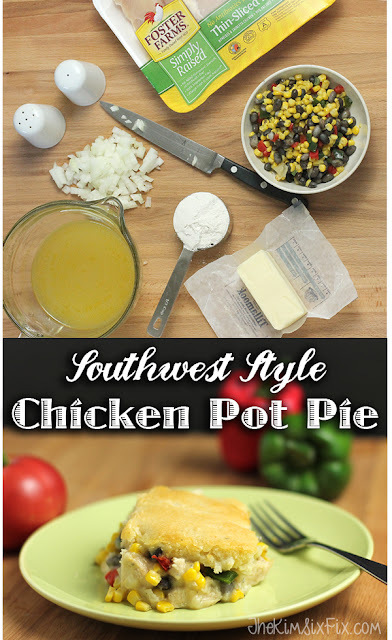 Spoon into lightly greased 13 x 9 inch baking dish. 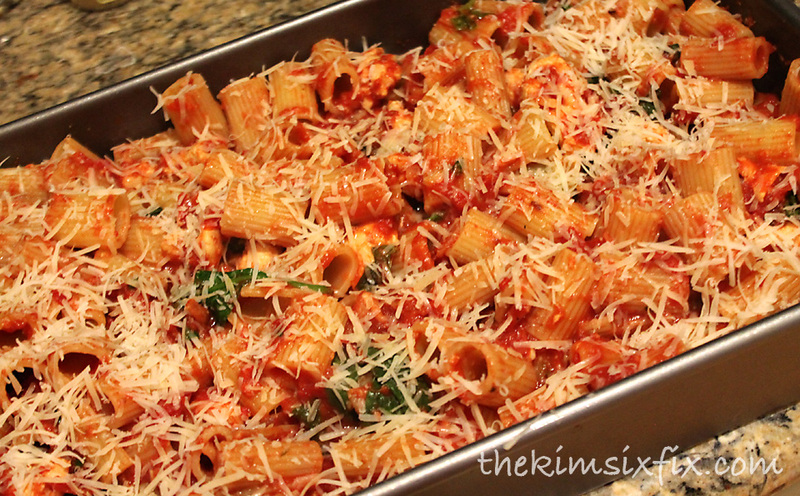 Sprinkle with remaining 1/4 cup cheese. Bake at 350 degrees for 20 minutes. 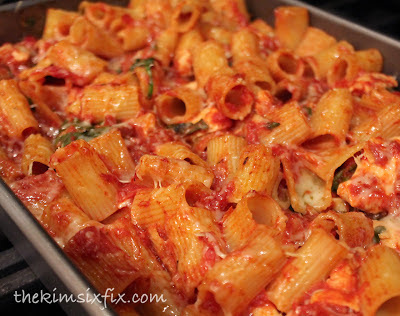 The cheese should have completely melted when it comes out of the oven. I served mine with a garnish of Parmesan and the kids ate it right up.